Thanks to Chuck over at D is for Dad for pointing out that my Blogger account was set up to only accept comments from people with Google accounts. 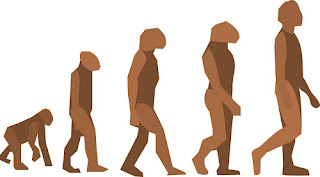 This was the default when I created this blog, and I in blissful ignorance never checked it to make the change. Yes, it is all clear now. This must certainly be the reason I have not received even more comments on the stellar material I have been meticulously preparing for all you dedicated readers of LIAYF. I apologize if you have tried but failed to leave a kind word. You can all rest easy now, knowing that you are free and certainly now able to comment all you like. What Brings Out the Kid in Me? Being a new father to my healthy, curious, energetic, smiling, fun loving, sometimes contemplative, trusting , and most of all happy 11 month old son Lukas has brought out in me that euphoric sense of wonderment with life that had all but vanished up until I learned that he had been conceived. Let me explain a bit more. This past Friday, I celebrated my wedding anniversary to my amazing wife Mrs. LIYF. 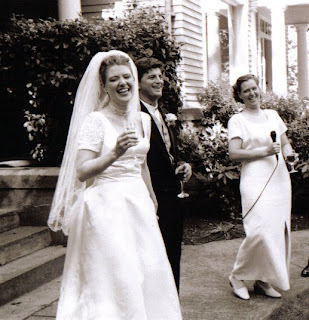 9 years ago this past Thursday, she pulled me aside and had that conversation with me that all couples should have before they blissfully unite. She asked me this: "Are you sure you want to have kids? Because if you are not, then now is the time to say so." My answer was, of course "Yes, I am sure." Then after a couple of years of getting our lives in order, we decided it was time to begin our family. We were not in our 20's anymore, but the first year of failure didn't get us down too much. We miscarried once, which was painful but we decided to persevere. At the end of the third year we we feeling quite down, and though not depressed, life was not filled with the joy it should have been for us. But, by the end of that 4th year, after having spent a small fortune trying everything available to us to start our family and being told by one of the country's best fertility doctors that we probably wouldn't be able to have our own child, we were seriously down. Everything was cast in shades of gray. We were not happy people but we still wanted a family so we decided to adopt. We got all of our papers in order, hired an attorney, and found a potential adoptive birth mother. Then the very morning we were going to send our profile to this pregnant woman, we found out we had conceived Lukas. We were so happy we cried, together. We referred the birth mother on to another deserving couple and began planning our life with a child. Ever since Lukas has been born, the pall has been lifted and every day it feels like I am a kid once again, learning new things right along with him. Each time Luke makes a new development and I am there to witness, it definitely brings out that euphoric feeling I remember having as a kid. That is the feeling that says, "this moment right here, in and of itself, is perfect". I am 40 now, my knees ache, my back hurts at times, and I don't get out to play as much as I did before. But I feel more like a kid now than I have in years! Sunday, May 25th is National Missing Children's Day. This is hardly a holiday, but I thought it an important awareness day to focus on for this week's Blog Holiday. As a new parent to a happy and healthy boy, I can't even fathom what it would be like to have my child suddenly disappear from my life without any knowledge of where he was or how he was doing. I couldn't fully understand such feelings 11 month ago, but now just the thought makes me want to run over to our daycare and grab Luke, hold on tight, rush him home, and bar the doors to keep out any bad people who would do him harm. It is both heartbreaking and sobering to visit the Missing Children's Blog, today's blog of note. I chose this blog because of the work it does to publish information on missing children, in an effort to reunite them with their loved ones. Please take the time to check out this site, in the rarest of chances you might recognize one of these children or be able to help in some other way. Finally, for more information on how to prevent your own children and families from becoming victims, please check out these other helpful resources, and don't forget to hug your kid tonight!! That's one and a half actually. Lukas, building off the walking practice he has been putting in, seemingly without rest, has taken it to the next level! Last night while preparing dinner in our kitchen, Mrs. LIAYF and I watched Luke tooling behind his rolling walker all the way from the kitchen to the dining room, holding on tightly for support the whole way. We went about our business. We both then looked away from what we were doing to see Lukas standing next to a dining room chair standing unsupported and looking at us, arms in the air, with wondrous concentration on his little face. "Way, to go Lukas!" and "Nice standing!" were the first things that came out from each of us as we watched Luke standing there for what seemed like an infant eternity. In reality, though, it was probably more like 10-15 seconds. Then it happened. Luke placed his left foot in front of his right, supported his weight on the left leg, then brought the right leg forward as well! He plopped down on his back side before putting his full weight back on his right leg, but there it was. Lukas had taken his first independent steps. We cheered! Lukas grinned from ear to ear, knowing he had done good! I swelled with pride, the happiest I had been in several days. Then I realized what comes next....but that did nothing to dull such a priceless moment. If early indicators are any sign of future success then Lukas may, in time make a decent golfer. It is true that yours truly never amounted to anything but a terrible hacker on the links. I do know, however, that the among the major keys to success in golf, as in any game requiring mental aptitude and muscle memory skills, is Practice with a capital P.
Practice, practice, practice. No, Luke is not yet swinging a 9-iron around the house, or eyeballing the cut of our lawns grass to size up the roll on a putt. But, he is showing that when there is a task at hand he will go the extra mile, even when his body is spent, to perfect that task. I can only look back, shake my head, and wonder what amazing accomplishments (other than landing my sweet wife and a having a part in creating Luke) I could have accomplished if I had that sort of drive, patience, and determination into adulthood. Here is a short clip of Lukas practicing his walking. He is doing great and would have most likely kept going if someone (ok, it was me) had not had the power cord in his way. I'm thinking that perhaps I can fix that cord to count the number of times he drives over it with his fire truck. I might have to hurry though, since he may not need it to walk with in the very near future. Especially with the amount of practice he is putting in. I am beginning a new weekly series focusing on a parenting related current obscure holiday (or awareness day/week). This inaugural post recognizes 'Children's Book Week' which began on May 12th and will end on Sunday the 18th. Mrs. LIAYF and I have read to Lukas almost since he was born. Thanks to many kind friends and family, as well as numerous trips to book stores both new and used, we have started a nice collection of children's literature for our son. Luke loves story time and thumbing through picture books. He especially likes our bedtime routine where we all read 'Baby Signs' books together. Some of his favorite children's books include the classics such as Good Night Moon, Guess How Much I Love You and Jamberry. He also likes the 'tastefully' illustrated Fruit! In an early attempt to reinforce our desire to make Lukas a reader as soon as he is able, we even got him his first Library card when he was 3 1/2 months old!! Seattle is one of those wonderful cities with great libraries and a great policy for kids - no late fees for children's books! An important part of this series will be to link to a blog which is based on or related to the holiday I am posting about. 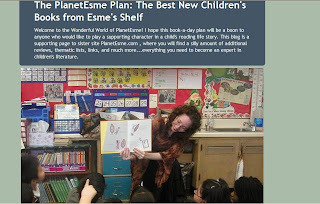 Today, the link goes out to 'The PlanetEsme Plan', a blog dedicated to getting people interested in children's literature. Check it out, and don't forget to read a story with your kids tonight! Lukas continues his daily progress toward walking on his own tiny little feet. He has recently been pulling himself up against chairs, shelves, boxes or tables (our coffee table to be precise), and is walking along those with great concentrated energy and a sense of purpose that I only wish I still had in a fraction of the abundance that this boy does. Now, in the past few days, Luke is pulling himself up against those surfaces, grabbing whatever items are within his reach, letting go of his support structure and banging the items in his hands together with a delightful sense of accomplishment. While performing this banging routine, he has increasingly been standing unsupported on his own two feet. He rocks back and forth but does a great job of catching himself and finding his balancing point. He can now stand unsupported for several seconds at a time, an accomplishment that will, no doubt, lead to his taking his first independent steps soon enough. I am sure that before I realize it I will have to be chasing after my fleet-footed son. So I better either buy a leash or else start stretching when I get up in the mornings since I am not as fast as I used to be. One whole year! There was a time I would have thought this impossible. Along the same lines as solving the general quintic equation in radicals, or squaring a circle, or a black man or woman becoming president of the United States of America (wait, that one may not be so impossible after all). But it has been one whole year, 365 days, 4380 hours, or 262,800 minutes without cable television in our household. Yeah, you read that right. DO NOT adjust your screen. It's all horrifically true. After we decided to cut the cord, we gasped pathetically for cinematic nutrients for several days, and went through several evenings of the shakes and chills. We eventually did regress a bit and bought a set of 'bunny ears' to pick up the local stations in an effort to feed our hungry television deprived souls. We watched the local stations for a while, but that eventually dissolved away once we realized that we had to endure the commercials and fuzzy pictures. Not really worth it after all. There was a time when I would have thought all this something akin to 'The year without a Santa Claus' or possibly living under the watchful eye of Chairman Mao while being a professed capitalist. The very thought brought an involuntary Hebe Gebe pulsating though my body. Why, then, did we make the decision to give up this important part of our life? Well, that's a good question. I often asked myself that too. The answer is, of course, that I am a pragmatic man. Mrs. LIAYF in all her infinite wisdom spelled out to me the virtues of a tubeless household once our baby boy arrived, and dam if she didn't have some very good points. We weren't going to have time to watch television with a baby. Television is bad for babies to watch. Television is costing us upwards of $75 a month and we are going to be cash strapped after baby. And her most compelling argument of all... 'Everything on t.v. is pretty much crap anymore anyway!". She had me right there. So I made the call. Remembering back, I believe that I had to say something like "Yes, I am sure this is what I want to do" several times to an obviously disappointed and increasing irritated cable sales guy, who probably went home and committed Hara-kiri or at least stood at the edge of the overpass for a few moments thinking hard, after he failed to convince me to change my mind. This was even after offering me 2 whole free months of said cable service. At one point his best argument was "People just can't get by these days without t.v." to which my response was "I think that alone is a good case for stopping my service". So, the deed was done. We suffered for a while, but miraculously survived. How exactly did we do it? Sounds like a topic for a follow-up post. Maybe I'll delve deeper into how we managed to survive a whole year without television and how our perspectives have changed since. Happy Mother's Day Mrs LIAYF!! Honey, you have been All That and much, much, more to our wonderful son over the past 10 1/2 months. It's difficult to believe that it was a whole year ago that we celebrated your first 'unofficial' Mother's Day. You were a gorgeous, radiant, happy (although very uncomfortable) expectant mother. Neither of us knew quite what to expect back then. We knew we were having a baby boy, but beyond that we had no idea exactly what he would be like. Would he be healthy? Would he be happy? Would he sleep? Would he look like you, or like me? A little of both? What would we pick for his name? What would his demeanor be like? More like dad (laid back) or like mom (passionate)? A year later, we have all these answers. Lukas is a healthy, happy, boy who looks a bit like each of us. He is generally an easy going boy who has learned to sleep rather well, but he has moments on both ends of the spectrum where he is extremely passionate and vocal about how he is feeling. Most of all though, he is loads of fun. Happy Mother's Day Mrs. LIAYF. You have given nothing less than the whole of your soul to our happy son. I can't imagine what kind of boy Luke would have turned out to be if you were not always there for him, in the moment, giving him everything you had to give and then some. I know that other mother's do and give of themselves similarly to their children, but I am not there to watch them in action. I am here, watching you with our son and thinking to myself how remarkable you really are. I am in awe. You are Mom. You are perfect for Lukas! It is tough being 5th fiddle. Although yes, you do get to lay around doing nothing but sleeping most of the day, there are some down sides as well (we won't even mention how he has to clean himself). 5th fiddle is really a demotion as Albert (otherwise known) once was 4th fiddle, then promoted to 3rd for a very short time before unceremoniously being made 4th once again. Now, it seems that everyone has been ratcheted down a notch, and he is just 5th fiddle, with the Usurper a few months ago waltzing right in to claim the no. 1 fiddle spot. As 5th fiddle, he is 'lucky' if he gets fed every day, although an outsider would never know this since he is a bit on the, well, chunky side. 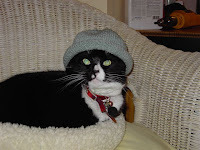 (He is pictured above back in his thuggish days when he was much lankier and much more street). Pets on the back and bits of attention are much harder to come by now as well. However the Usurper, as no. 1 fiddle is known to him, waves frantically and makes many sudden moves toward him in what can pass for delight. This is causing fiddle 5 to actually jump up from a sleeping, almost catatonic state and dart off to safety rather often now. Worse yet, this morning the Usurper actually tried to ride him. How humiliating! The darting about is good for him though, as he needs to gain back some of that edge, get some of the street back into him. Who knows, he might have to venture out and catch some of his own food one of these days and he needs to be ready! If he lays out in the grass all day, the birds and mice are not going to walk up and give themselves up. No sir. The Usurper is just trying to help! This past Friday, one of our very dear friends suffered a heart attack then 2-3 major strokes after being administered anesthesia just before surgery. She is like family to us. She and her husband are Luke's appointed guardians should something happen to both Mrs. LIAYF and I. She and her husband have been amazingly supportive throughout our journey into parenthood and we love them both. Our friend is paralyzed on her right side and has suffered extensive damage to her brain's speech, hearing and vision centers. She cannot yet walk or talk. She is just starting to communicate through gestures, and reaches out to everyone who visits. Today she was transferred out of intensive care at Seattle's best trauma hospital. However, she will remain at the hospital for several weeks while she begins her recovery process. She will then go home and continue her physical and speech therapy. Our friend is young (mid thirties) and was healthy before this tragedy, so we are all hopeful she can make a full recovery. She has progressed amazingly in a few short days, but the process will be most likely be long and difficult. This friend is kind, generous and wonderful. Everyone who knows her just adores her and wishes her well. It's been a tough reminder that life is short, and that friends and family are what make it worth living. I knew very little about strokes before this, but was amazed when I was directed to this video about what it feels like to have a stroke. If you are interested, take some time to watch and learn. It's a fascinating description by a neuroanatomist who had a stroke of her own - oddly, at the same age our friend is now (37). The neuroanatomist has recovered completely, so there's lots of hope for our friend. In addition to being kind and generous, our friend is tough, determined and works hard. Her recovery will be a good example to Lukas of what you can overcome through sheer will, determination, and loving family and friends. Please keep our friend in your thoughts and prayers - I believe that all good intentions make a positive difference in situations like this. I came home from work a couple of Wednesdays ago, and walked into my kitchen to see Mrs. LIAYF sitting there with a big wide grin on her lovely face. "I have something to show you" she said. A big grin then came over my face. "No, nothing like that, funny man...Lukas, let's show daddy what we learned today." She then pulled out a sippy cup with a straw and held it in front of Luke's face. He hesitated, as if for dramatic effect, and proceeded to wrap his tiny lips around the straw and draw back a frosty drink of refreshing water! I was shocked. I had no concept a 10 month old could do such a thing. "How did he learn to do that??" I exclaimed. "I just demonstrated it for him today and he imitated me right away." "Really?" "Yes, really." I was instantly overwhelmed with pride that my son could learn to drink from a straw at such a young age. Yes, so proud that I had to immediately run and Google it. I used "age that baby drinks from a straw" or some other similar search phrase. To my surprise and slight disappointment I have to admit, the first thing that came up was an ehow.com article which described how you can introduce babies to straws anywhere from 9-12 months. Yes, that is 9-12 as in the range that encompasses 10, the age in months he actually currently falls into. That being said, the optimist in me rationalizes that he is on the lower end of that scale. Oh yeah, he is ahead of the curve! But in reality it seems that this is common enough amongst babies Luke's age and that this is not the sign of incredible genius in my baby that had originally so easily rushed into my mind. Maybe so, but I do know a lot of babies Luke's age, and not one of them is drinking this way quite yet. Early exit polls can't be wrong, can they?? So perhaps (other than facilitating a baby getting much needed liquids, of course) this is just a nice party trick. A fun thing to show your friends. If that's so, then I'm sure Mrs. LIAYF will next be teaching Luke to pull quarters from behind other kids' ears for an encore. Or perhaps sawing dad in half! Luke spent his early months less than enamored with H2O! I think it all began just an hour or so after he was born, when after having been newly introduced to his post-fetal environment and having had his very first taste of liquid gold, he was unceremoniously dunked into a sink full of water that was definitely not womb temperature. He looked shocked for the very first time, and proceeded to scream with all the force that his newly broken in lungs could muster. It started right there. He hated water. It took us months to get him used to the concept of a bath. He would not always scream, but the distasteful looks and pathetic whimpers melted our hearts in such a way that we resigned to only give our little buddy a drenching bath when it was absolutely necessary. In those early months, Lukas would be 'lucky' if he was bathed once every two or three weeks. We secretly felt like awful parents for this. We would cringe a bit and reveal this fact every once in a while, such as at PEPS meeting, half expecting to get some rather judgemental looks from other parents who had long since made a nightly bath part of their babies bedtime routine. We did receive some surprised looks, but since Luke didn't stink (those early breast milk diapers were interestingly devoid of the rotten poopy smell we expected) no one seemed to judge us too harshly. Thankfully! At about eight months Luke started to relax a bit about getting wet. We were able to start bathing him at least once a week, and as we had hoped he actually started to enjoy himself. So much so, that about a month and a half ago we began giving him a nightly bath. It is not long (most nights we are in and out in about 1o minutes) but Lukas has gradually learned to have a jolly good time with his nightly bath. But he would not splash! This was despite our splashing in the tub to show him how to do so. We were not overly concerned since we did not start him on a nightly bath until relatively recently but we wanted a fun loving, water splashing baby. Careful what you wish for! Lukas out of no where last night started to windmill splash his bathwater with such force that one might think Hurricane Katrina had finally made its way to the Northwest coast. He kept this up for a good couple of minutes, with pure delight on his face and two soaked but otherwise bemused parents shockingly looking on. He repeated this again tonight! We again got a good drenching. I am no dummy (some may argue this). I think I am wearing a raincoat tomorrow night because Luke is definitely an H2O baby now. If you travel to Seattle anytime soon, bring your bumbershoot! Something I consider extraordinary happened last weekend. Two Student Athletes, women's softball players to be more precise, from my Alma mater Central Washington University, committed an act so selfless and inspiring, that it almost (I would never admit it if it actually did) brought a tear to my eye. I have been meaning to blog about this for a few days now but am only now finding the time. I am not sure how much national press this story received because I am off that particular radar, so some of you who read this may have heard all about it and already consider it old news. Even if you are familiar with this story, it is worth another read. And if you have not, please take the time to do so, and soak in what I feel is all too unfamiliar in most media coverage. Happy and inspiring stories.